Who doesn’t love a spicy, tangy and absolutely mouth-watering plate of chaat? If you just went dizzy with excitement just reading about it, we suggest you head to Shri Sairam’s Chats and Juice Centre ASAP. One of the most popular street food joints in Bangalore, it makes some of the most delicious concoctions of chaat. Think chip chaat, disco chaat and much more. The place is always buzzing with people, who are either trying it out for the first time or are regular customers. 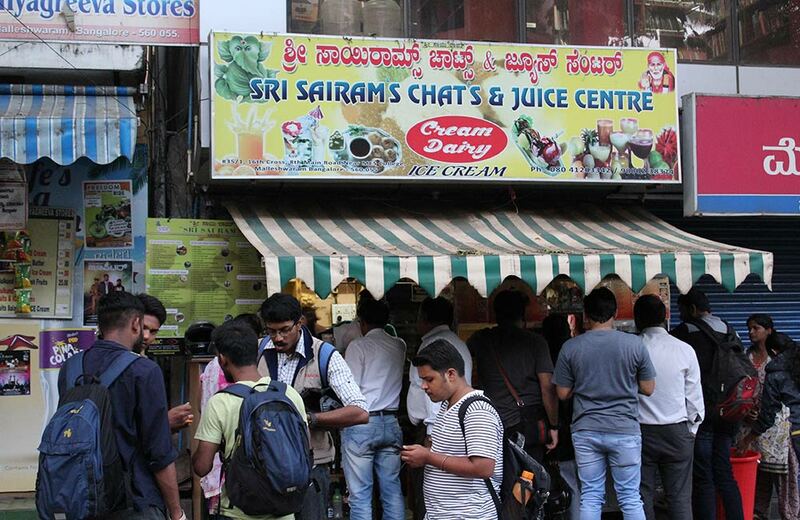 If you love pani puri, Shri Sairam’s should be on your list of places to visit in Bangalore. Do not forget to ask for the home-made chocolates, especially brought from Ooty. Fan of sumptuous and soft idlis and crispy dosas? Mark a date on your calendar for Brahmin’s Coffee Bar. A humble place with a limited menu, this coffee bar is all about quality food that has garnered praise from the localities and a 4.7 rating on zomato. Delicious and crunchy rolls with some of the best fillings are prepared at Khan Saheb Grills and Rolls. Having more than 10 outlets in different locations, this is one of the most popular street food places in Bangalore. The menu is loaded with a plethora of veg and non-veg rolls, enough to keep you coming back for more. Because trying out more than one roll at a single go is quite impossible. 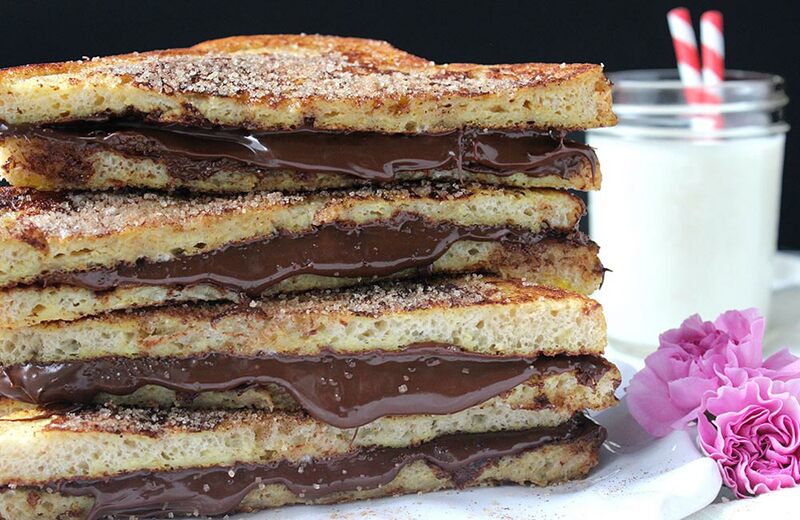 This place is extremely popular for its decadent sandwiches, especially the insanely mouth-watering chocolate sandwich. As it Has more than 5 outlets across the city, you can choose the one closest to your residence or hotel in Bangalore and make a dash for it ASAP because if you haven’t already tried their sandwiches, then are you even a foodie? Jam-packed most of the time, this outlet has a range of both sweet and savoury dishes that you should absolutely try. If you don’t have a sweet tooth, the potato twisters are sure to tickle your taste senses. Gol Gappa or Pani Puri, whatever you may want to address it as, one fact remains unanimous – it is loved by almost every Indian. 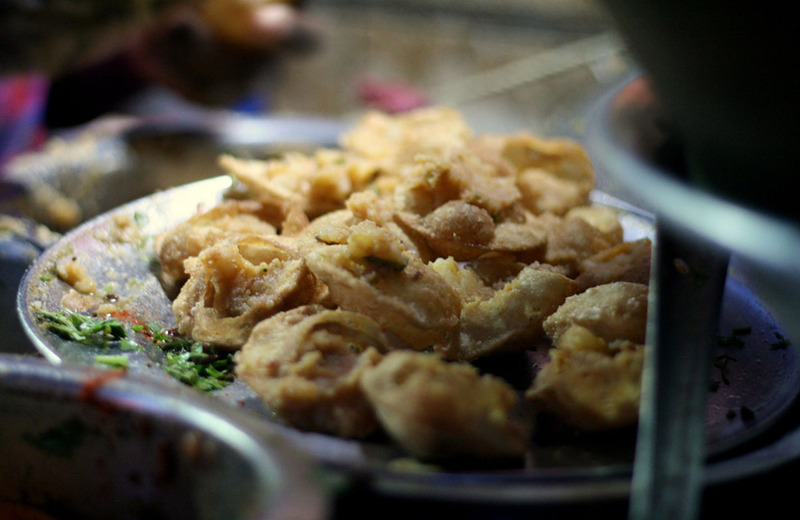 One of the most popular street foods of India, it has become a legacy in its own right. The filling may differ from state to state, but the love for it remains universal. If you have been craving some good old gol gappa, Rakesh Kumar Pani Puri Stall in Jayanagar will help you take care of those. 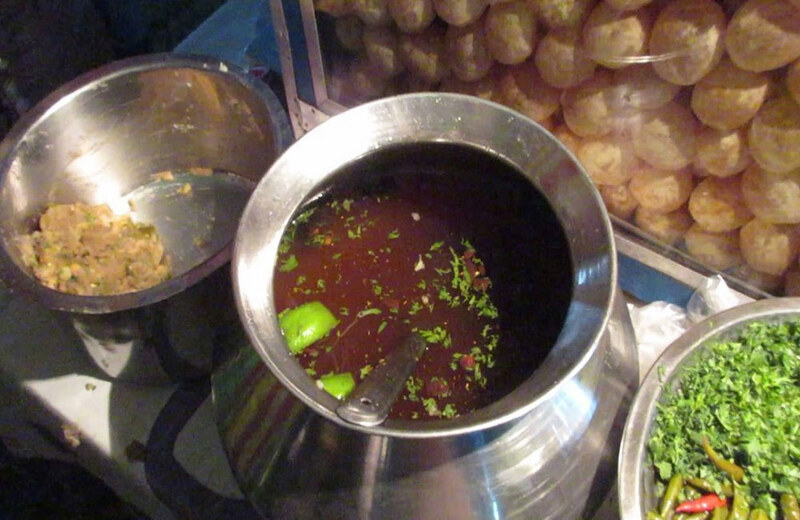 You may even try Dahi Puri and chaat after gobbling down some scrumptious pieces of pani puri. 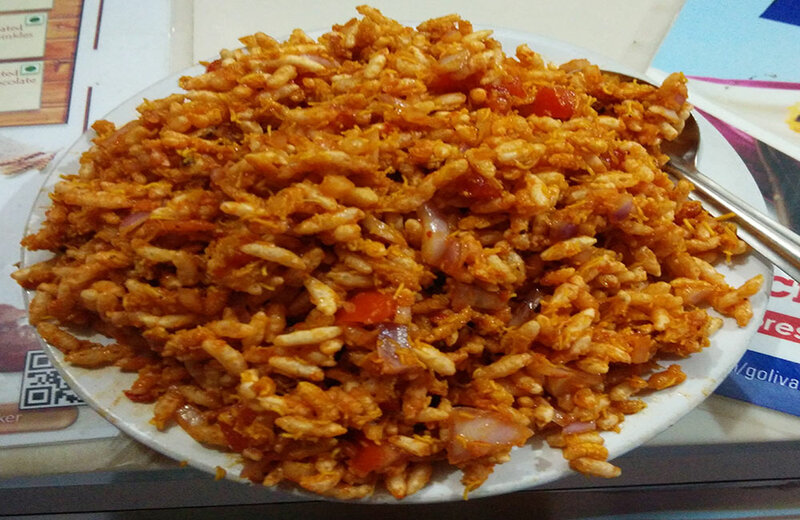 If you were of the opinion that bhel is only dear to Marathis, Karnataka Bhel House in Bangalore will prove you wrong. Located on the Bazaar Street of Bangalore, this street food joint was started in 1975, and it is still satiating the hunger of foodies. With their authentic and spicy chaat mixed with different ingredients, you are bound to get confused as to which one to start from. So, take your time and read through the menu, and let the most intriguing combination of chaat be your pick of the day. Not only a popular joint among street food lovers but also an iconic place, Central Tiffin Room (now known as Sri Sagar) has been making plenty of locals happy with their super delicious variations of Dosa since six decades ago. 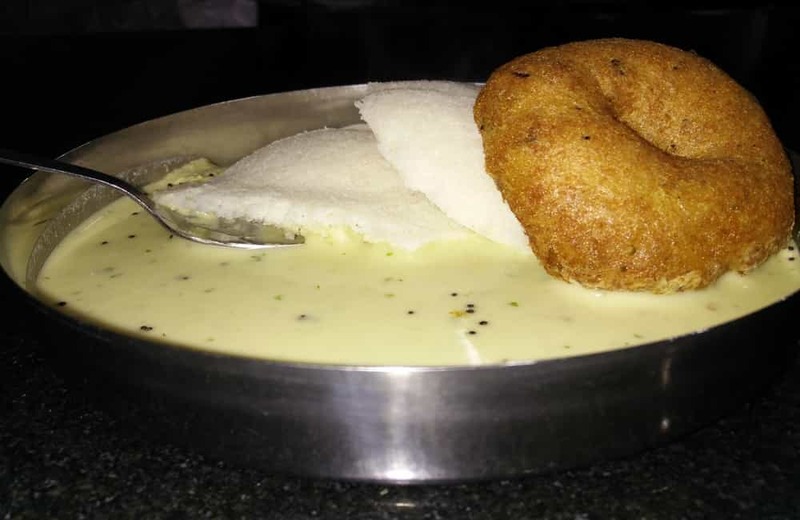 Apart from the all-time favourite Masala Dosa, they also serve delectable vadas, poori sagu and kesribath. Already planning a visit to this dosa-haven? We suggest you try the world-renowned butter masala dosa. If you didn’t have your fill of pani puri at Rakesh Kumar’s Stall, head over to Puchka’s because we, pani puri lovers, can gorge on a lot, provided it is spicy and delicious, right? 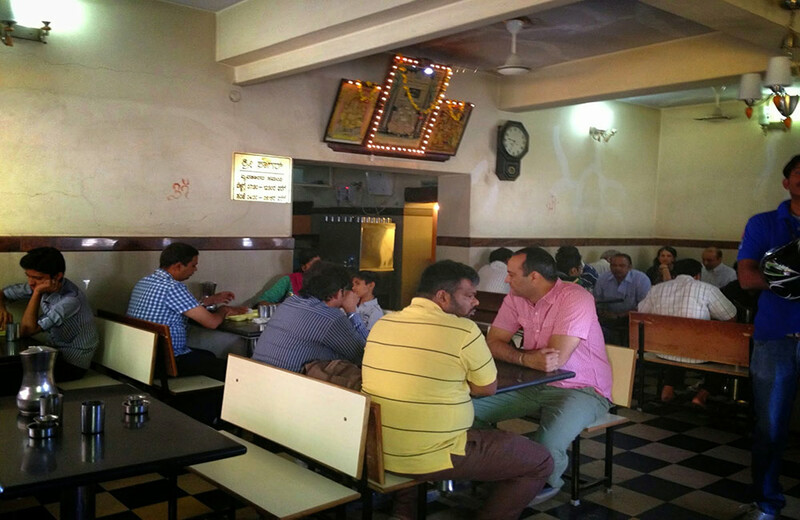 Puchka’s, despite being a street food joint, is high on hygiene and cleanliness. Add to this the scrumptious Pani Puri and you get to have a memorable food date with your best friends. While their specialty is Gol Gappe, they also serve hot dogs and burgers, so rejoice if you want to have more than pani puri. Being Indian by birth, we just can’t get enough of all the spicy and tangy street food delicacies, right? 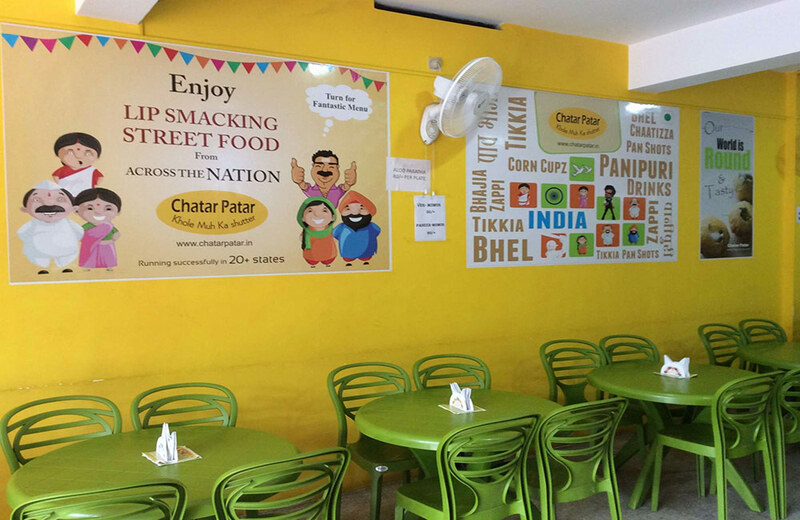 This is why Chatar Patar should be next on your list of street food places to visit in Bangalore. visited at least once by every foodie in Bangalore, it has a large variety of dishes to choose from. With everything unique and lip-smacking, you will be spoiled for choice here. Start with bhel puri and other variations of chaats because that is their USP. However, if you feel like trying something unheard of before, the black current gapagap sounds like an interesting choice, doesn’t it? 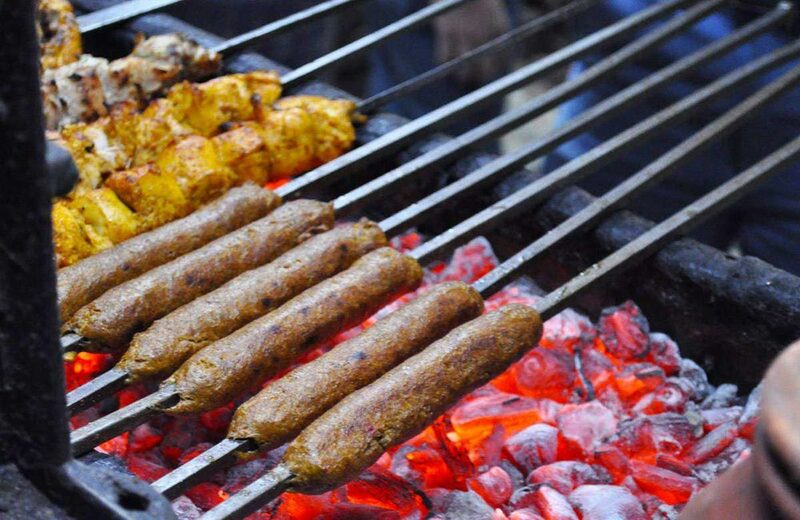 Shawarma and seekh kebabs are the things that you crave after a long day’s work? 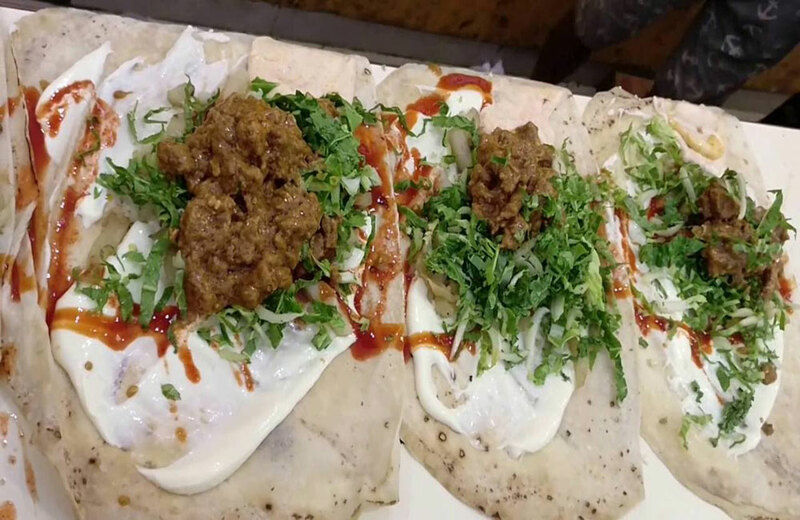 We suggest you head to Johnson Market’s Fanoos to get your fill of these juicy and spicy meat dishes. 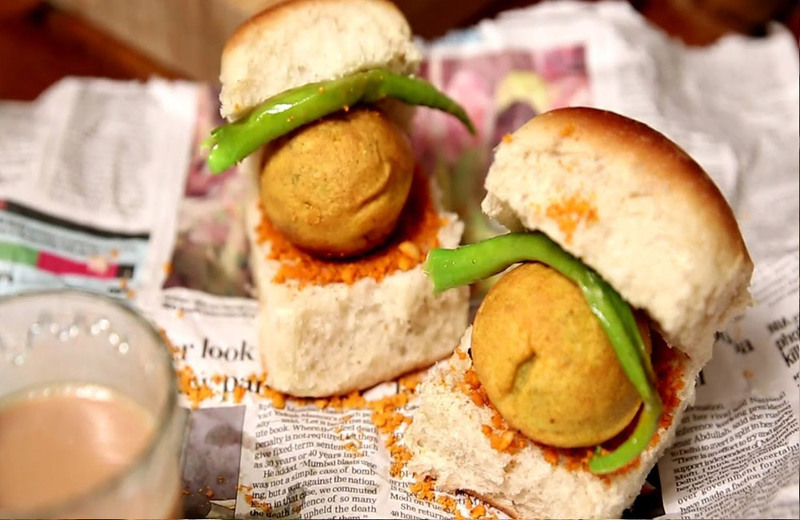 The quintessential street food or rather soul food of Maharashtra is served with loads of flavour and unique ingredients at Dadar Vada Pav. If you are a Mumbaikar, yearning to taste that rich mush of potato all rolled in a pav to perfection, this is a place you have to be. Pretty much crowded, this street food place is renowned in the entire area for its distinct types of vada pav, starting from paneer, Szechwan and more. Moreover, the low price for its star dish, coupled with a side of burgers and fries, makes it an excellent place to head to after a hectic day or even leisurely day. If you are a person who asks for extra chilies or a tad bit more spiciness in your food, this place has you sorted. A small stall with a plethora of street food options, this one has become a favourite for all Chinese food lovers in Bangalore. If you happen to go to Jeevanbheema Nagar, do try the sumptuous and spiciest fast food here. They even serve ghobhi chilli, which has become a staple of Desi-Chinese cuisine. 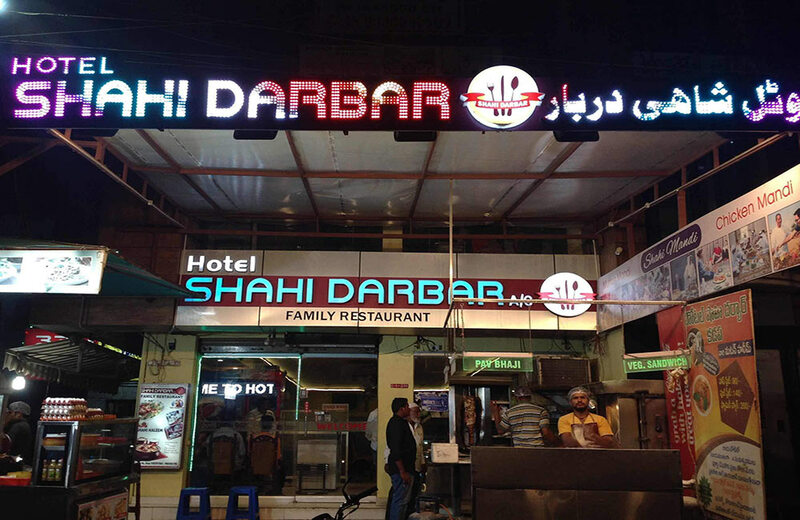 A place that is usually abuzz with students and working professionals, Shahi Darbar is a stall in Yeshwanthpur selling some of the most mouth-watering rolls, both veg and non-veg. With a limited seating area and low-priced yet sumptuous and filling rolls, this place has earned a place in the heart of the local residents. So, if you are headed to MS Ramaiah Ground anytime soon, do try their simple veg roll or double chicken roll. 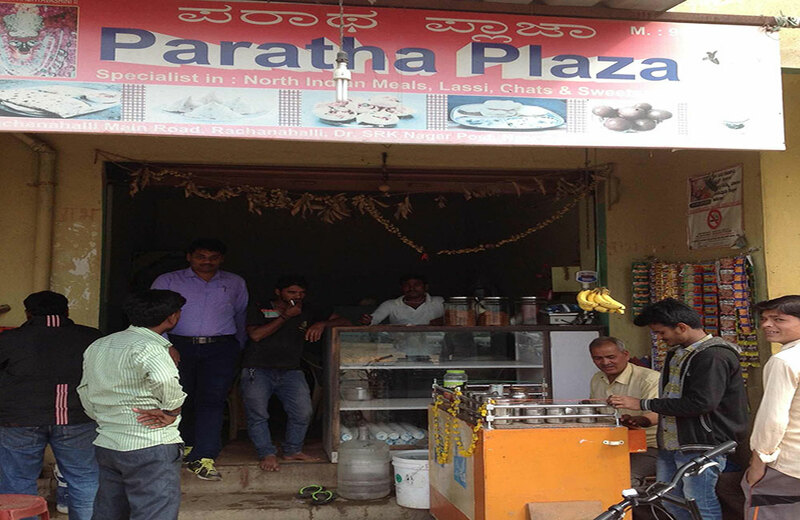 If North Indian food is your thing, Paratha Plaza will take care of you. This street food place in Bangalore serves some of the most filling, crunchy and lip-smacking parathas. Served with an extra topping of butter, devour them hot as soon as they are brought to get the best taste. 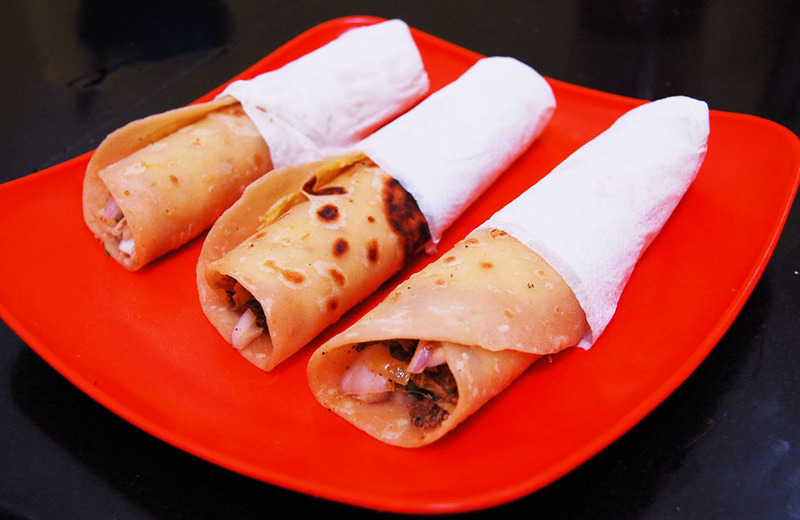 Mouth-watering and humongous rolls are the specialty of this fast food joint in Bangalore. In the evening, there is a swarm of people; hence, you may not find a place to sit, but all this won’t matter once you get your hands on the succulent rolls. The jumbo rolls are one of its kind and a must-try. Buy a bottle of cold drink with the roll and you are done for the night. So, you see just like other metro cities, Bangalore has a plethora of street food places that have become a household name among locals. 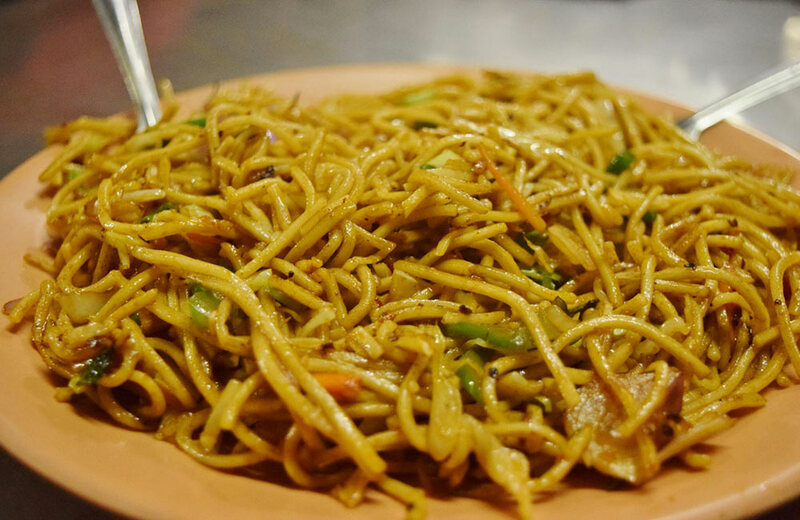 Take a cue from our list, and head to one of these depending on the kind of food you like because when it comes to trying tasty dishes at low cost, there is nothing better than a hot place of noodles or some tangy gol gappas. Moreover, the food culture of Bangalore has evolved, thanks to the influx of people from all over the country. The next time we go on a food trail around Bangalore, we hope these places will keep your hunger pangs satiated. So, gather your squad and go on the hunt for that perfect eating joint, where you can go back again for some heartfelt conversations without burning a hole in your pocket. If you have anything to add to the list, feel free to do so in the comments below.